'Coz grass is always greener on the other side. Whattttt !!! Vegetarian Indian Food. Spicy. Tangy. Colorful. Addictive. Bestest. Of course I could be biased. Damned if I’m not. But whatever lah ! Delighted me. Ready to discover the fine veggie food in fab SG. 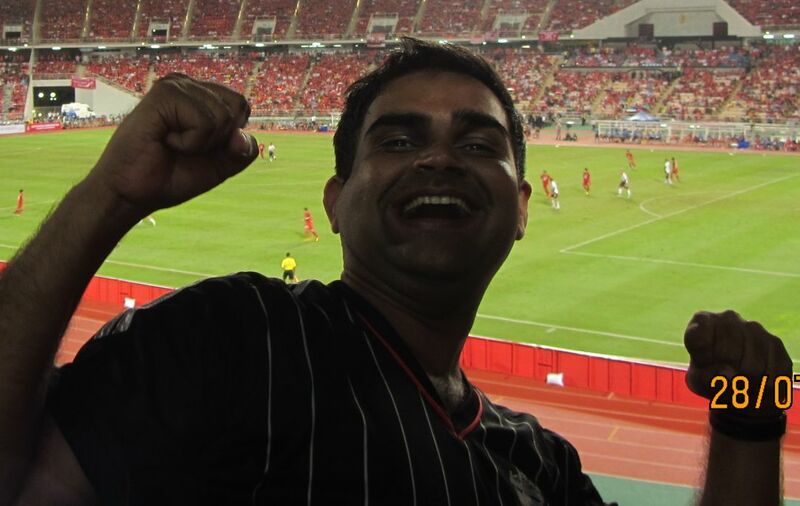 When I moved to Singapore in January 2013 for my second MBA (yes! beat that ! the first one didn’t kill me, so I gave it a second shot, and survived again! Unbreakable, anyone??) from Singapore Management University, I was told I’ll miss 4 things the most. 1 – the family, 2 – my friends, 3 – my car and 4 – yummy Indian food (home made or not). Fast forward to November 2013. I do miss my car. Especially on Monday mornings. After legendary Singapore weekends, standing at the MRT station, waiting for the train to arrive is dreadful. You look at the people packed inside the train. You wonder why did all of them have to take this very train? They look at you and wonder why on earth did I decide to arrive at this very minute to the station. And after several excuse me’s and sorry’s and watch out’s, when one is one the train en-route to office… time stops. The mind wanders. To the shiny black car back home. The Jason Mraz, Pink Floyd, RHCP or Coldplay tracks (depending on the mood that day of course). And an elbow in the tummy brings one back to reality. Summary – the car is missed. The family – they’re missed too. My better (at times bitter – courtesy my late night soccer games) half is with me in Singapore for good. Which is good. But mum and dad are not. And one does miss the friendly banter over dinner with the family. Hmm… the friends. Weird jokes only we could understand, pulling legs of unsuspecting office colleagues, people bashing and weekend travels (with the jams). These are missed. Not the jams. And not the bread for sure. But you move on, and you make new friends. But you still miss the old ones. Like the old pullover you loved so much. You buy new ones, but always wish the old one wasn’t old enough to have to be discarded. Anyways, the point is – Yummy Indian vegetarian food. Point no 4. And I did expect to be dead by the 4th of April 2013 due to lack of mind-beellowing Indian vegetarian food in SG. But this is November. And I lived. So the scene couldn’t be as bad. Right? Absolutely darned right. Singapore offers, to the one who is willing to go the mile – and quite often to Little India, delectable veggie Indian food – “shudh desi romance” types. This blog attempts to capture, for my own benefits and others’ too, the finest, cheapest, quickest – every ‘est’ Indian veggie food that there is, in Singapore. In fact, I might even thrown in some other vegetarian cuisines every now and then. Because monotony kills. Jack the ripper does too. But that’s a different story. And I’m not a photography wizard, but this blog is an attempt to discover and share good ‘desi’ (meaning Indian) food – from curry to kebabs, from dosas to uttapams, from dhoklas to samosas, learn how to blog well and then analyze traffic and make a billion dollars from advertising revenues (as if ! ), improve my non-existent photography skills starting with an iPhone 5 / Canon ixus and learn a few ‘woohoo’ tools on blogging. In short – I hope this blog makes me a better human being, the world a better place and you, my reader, a more satisfied foodie who appreciates fine desi food.